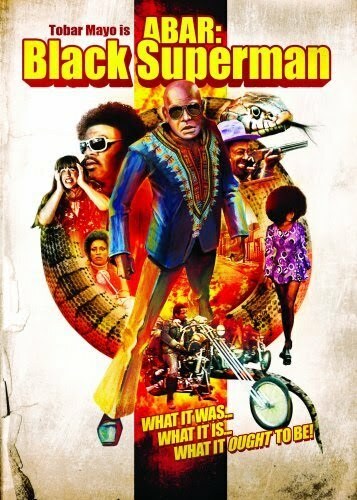 ABAR: Black Superman (1977) — OK, no one in our group came up with this one. I’d never heard of it, either, until I did a little extra research for this post. As part of the blaxploitation trend of the times (see Honorable Mentions below), this flick was about “the brothers” fighting against injustice at the hands of racist Whites and crooked politicians. 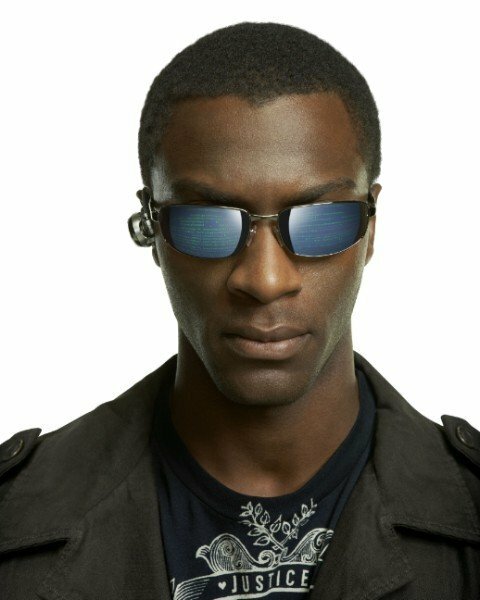 “Upon moving into a bigoted neighborhood, the scientist father of a persecuted black family gives a superpower elixir to a tough bodyguard [played by Tobar Mayo], who thus becomes a superpowered crimefighter.” According to one IMDB reviewer, “The movie is actually racist in that it makes every single white person racist against blacks.” Also, “[Abar’s] powers consist of making a constant ‘swoosh’ noise every time he does something seemingly supernatural, and these things are downright hilarious. [For example, he] sees teenagers getting high and wasting time, so he turns them into college graduates (complete with the outfit! ).” Despite all this and some atrocious acting, it’s one of those so-bad-it’s-fun movies (watched in context of the times, of course). 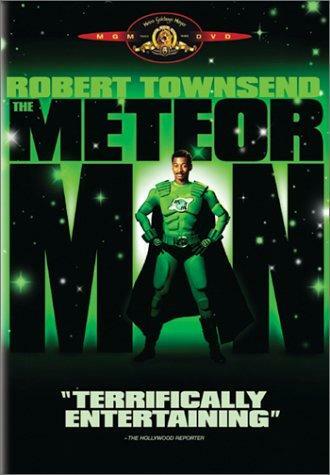 The Meteor Man (1993) — Robert Townsend starred as ‘Jefferson Reed’, a “high school teacher from a troubled inner city Washington D.C. neighborhood [who] becomes a super-powered hero and takes on the gang that has been terrorizing his streets.” Sounds somewhat like “The Greatest American Hero” TV series from the early-’80s. Anyway, this action-comedy wasn’t exactly a big hit critically or otherwise, and it lost money, but I think it does have its fans. (I confess, I never saw it.) Lots of familiar faces in this one, including Eddie Griffin, Marla Gibbs, Robert Guillaume, James Earl Jones, Don Cheadle, Bill Cosby, and Sinbad. 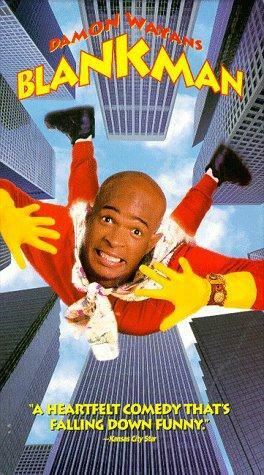 Blankman (1994) — This one sounds even sillier, which is probably why I didn’t watch it, either. As per the synopsis on IMDB, “Darryl is a childlike man with a genius for inventing various gadgets out of junk. When he stumbles on a method to make his clothes bulletproof, he decides to use his skills to be the lowest budgeted superhero of all.” One reviewer said, “How could you not enjoy this movie? 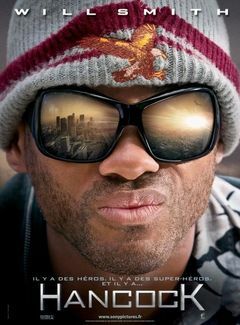 It was actually enjoyable to watch Damon Wayans’ character make all these far-out gadgets… some of which look totally outlandish, but actually make sense! Sure, the comedy may be a little too goofy for some, but in the end, it helps.” So, maybe I will check it out… when I’m in a goofy mood. 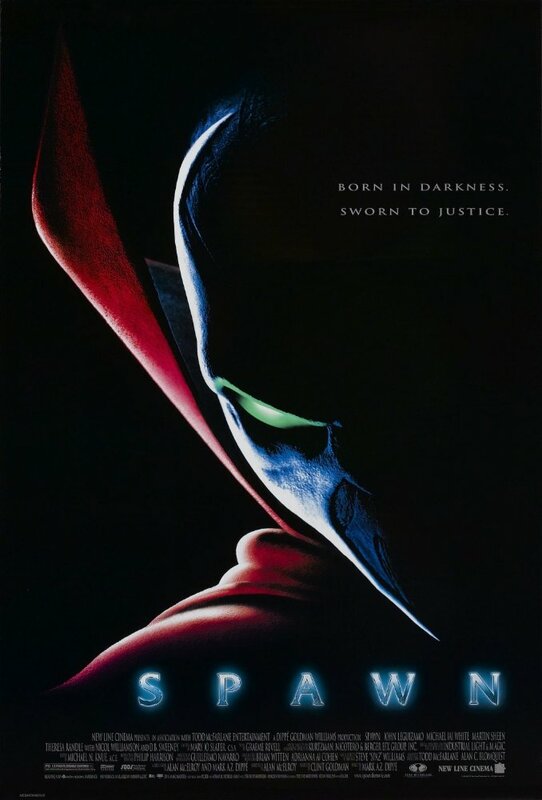 Steel (1997) — Premiering two weeks after Spawn was this travesty. 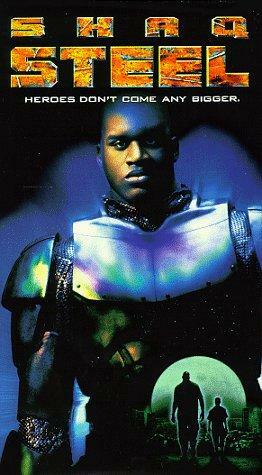 Starring Shaquille O’Neal, about the only thing this movie retained from the comics was that the main character is a large black man, an engineer, who builds himself a suit of armor to fight bad guys in. Otherwise, it had no connection to Superman and the rest of the DC Universe. As one reviewer put it, “This film is so bad it reaches a certain quality of lousiness only reserved for the very worst of bad ideas. I mean – Shaquille O’Niell (sic) in a steel suit with a super weapon made from the contents of a lost-and-found at the scrap yard? Please!” Not even the talents of Annabeth Gish, Judd Nelson, or Richard Roundtree (the original Shaft!) could save it. 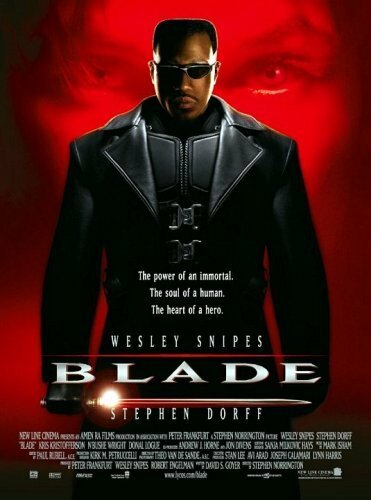 Blade (1998) — NOW we’re talkin’… The tale of the half-vampire/half-mortal slicing and dicing evil vampires in defense of the human race, while fighting his own (un)natural urges, was the real deal. As one fan put it, “[F]inally my prayers have been answered with Blade. This movie pops right out of the pages onto the screen with sheer violence, blood, martial arts, weapons, fire, the good against evil, etc. Yeah sure a lot of action flicks contain all these goodies, and most of them have bombed. But not Blade, the movie was filmed just right, not going overboard, delivering a good length and never a dull moment.” Wesley Snipes’ bad@$$ery was exactly what was called for, and his co-stars were great, too! As usually happens, the sequels (Blade II (2002), Blade: Trinity (2004) weren’t quite as good, though Blade II performed even better than Blade at the box office. I really need to watch this trilogy again…. The Last Dragon (1985) — The ’70s & ’80s had several movies with black (anti-)hero protagonists. I think it was a subset of the “blaxploitation” (sub)genre. There were private detectives (e.g., Shaft), drug-dealers trying to leave “the life” (e.g., Super Fly), vengeance-seeking former Green Berets (e.g., Slaughter), martial artists (e.g., The Last Dragon, Black Samurai), even a vigilante nurse (e.g., Coffy). But, they weren’t exactly superheroes, so they don’t really qualify here. Black Cougar (2002) — I never saw this one, which apparently went straight to video. It sounds a bit cheesy to me, but if you’re in the mood…. I’m really glad that Black Panther will get the full Marvel treatment, headlining his own dramatic, big-budget, action-adventure (and non-comedic) movie. Even better is that it will take place in Wakanda, the mysterious African nation that Black Panther (aka King, formerly Prince, T’Challa) now rules. It will be a great opportunity to not only see a much different region of the Earth of the Marvel Cinematic Universe, but it will allow audiences to experience the very different cultural environment (including warring tribal factions) from which this particular hero comes. Hope you enjoyed this little historical review. Did we miss any? Let me know if you come up with another…. If I’m as big a fan of Marvel Comics as I keep sayin’, why the heck haven’t I done any Marvel-based fan-casting, yet? I dunno. First, a couple comments on Chadwick Boseman (6′,b.1976), who nabbed the role after impressive performances as two legends: Jackie Robinson in 42 and James Brown in Get on Up. I haven’t actually seen the movies myself, nor anything else Boseman has been in, so I can’t personally comment on his acting. But, if he can put on some muscle, develop some cat-like athletic and martial-arts moves (maybe train with Michael Jai White? ), and possibly speak in a believable African accent, I’m sure he will do fine. King T’Chaka of Wakanda (who was also Black Panther, leader of the Panther Clan) was murdered by Ulysses Klaw when his first-born son, T’Challa, was in his teens. (T’Challa wounded Klaw before he escaped.) The young prince soon went off to university in Europe & the U.S., earning a PhD in physics from Oxford, while also training himself to eventually avenge his father. 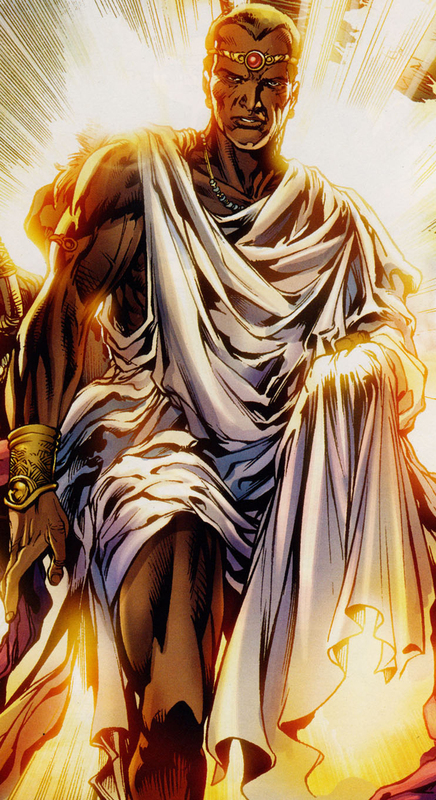 He returned a few years later to take the throne of Wakanda and re-acquire the mantle of the Black Panther by defeating the current holder of the title. I was always under the impression that T’Challa was in his early- to mid-20s at the time, which is when most people go to college/university. I would like to see the writers/producers include this “origin story” in the Black Panther movie, though I suppose the younger version could be done with another actor or by using CGI to de-age the lead actor. Also, it could be done in a sort of “flashback” fashion, so that the younger T’Challa only has brief screentime. Whether or not they include the “origin story”, my preference then would be to have the lead actor at least appear to be in his mid- to late-20s. 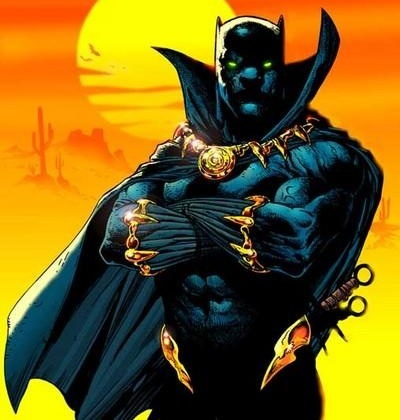 However, if they choose to introduce T’Challa/Panther as the already-established ruler of Wakanda (and experienced Black Panther), then they could use someone who is or looks a bit older, keeping in mind that they want someone who will still be believable in the part after 2 or 3 more movies after the first solo film. (On a side note, this is one of the reasons I think it is past time for RDJr to give up being Iron Man.) Boseman is a little older than this (38), but he is youthful looking and can still pass for 30ish. 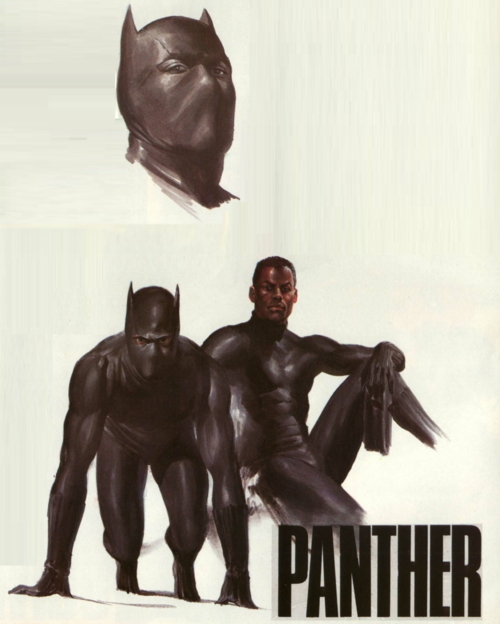 Physically, T’Challa should be roughly 6′ tall, well-muscled but not overly so. He is a top-notch martial artist, Olympic-level gymnast/acrobat, exceptional hunter/tracker, and adept at using various traditional African weapons. (Guns, too, of course.) As the Black Panther, the Heart-Shaped Herb — which also links him to Bast, the Panther God(dess) — enhances his senses, strength, stamina, etc., to near-superhuman levels. (After several years, Bast heightened his powers to superhuman levels, but that’s not the story we want to see.) Additionally, he makes use of advanced tech in his cat-themed costume and paraphernalia. Personality-wise, T’Challa is a proud, tribal leader with an appreciation for tradition, but he is also someone who embraces new ideas and desires to use Wakanda’s rich, natural resources to make it a thriving, global leader in technology. He has a genius-level intellect, is a master tactician & strategist, a very capable leader, as well as a sharp businessman. Ever since I saw Clé Bennett (5’10”,b.????) in the 4th season of “Flashpoint” a few years ago, I thought he would make a great Black Panther. (Not a member of the revolutionary black nationalist organization, of course!) He has been in a few genre series like “La Femme Nikita”, “Code Name: Eternity”, “Odyssey 5”, “Arrow”, and “Lost Girl”. I think Bennett’s got both the talent and the physicality to slip into the Panther’s skin and give a great performance. Quincy Chad (6’2″,b.1977) is an ex-football player and fitness enthusiast who turned to acting. Beginning with some stage work, he doesn’t have a lot of TV/film experience. But, he’s had small roles on shows like “The Following”, “White Collar”, and “Person of Interest”. 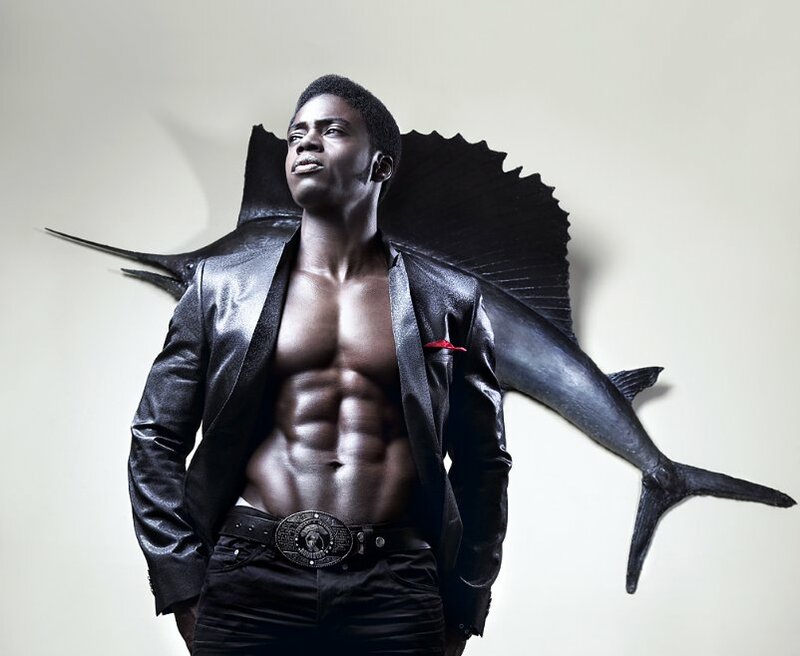 Plus, he definitely has the physical size and athleticism that we need for T’Challa/Panther. This could be a breakout role for him! Now, go with me on this. Aldis Hodge (6’1.25″,b.1986) is generally known for playing humorous roles (e.g., on “Leverage”). But, he is a very good actor, and I’m sure he has done serious roles, too. (The only one I remember seeing was briefly in season 4 of “The Walking Dead”.) He might have to work extra hard to “sell” it as T’Challa, but I think he could do it. He already appears to be quite fit, but he would probably need to pack on a few sculpted pounds and work on a different voice/accent, etc. But, I would love to see/hear him do it! 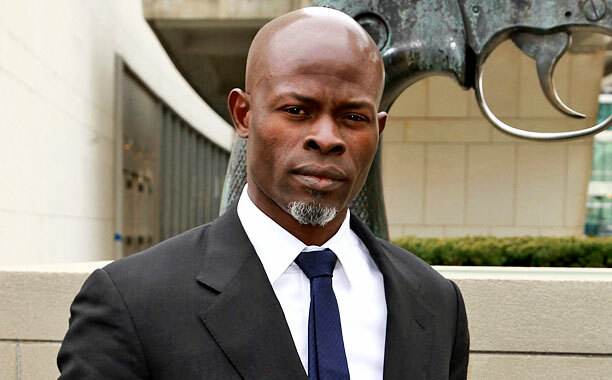 Djimon Hounsou (6’2″,b.1964) was born in Benin, West Africa, and is known for genre roles in Stargate, Amistad. Gladiator, Blood Diamond, Special Forces, and, of course, the recent Guardians of the Galaxy. What you might not know is that he was also the voice of T’Challa in the animated “Black Panther” TV mini-series. But, he’s 50 years old as of this writing, so too old to play the character in a live-action production. T’Chaka, on the other hand, would be perfect. 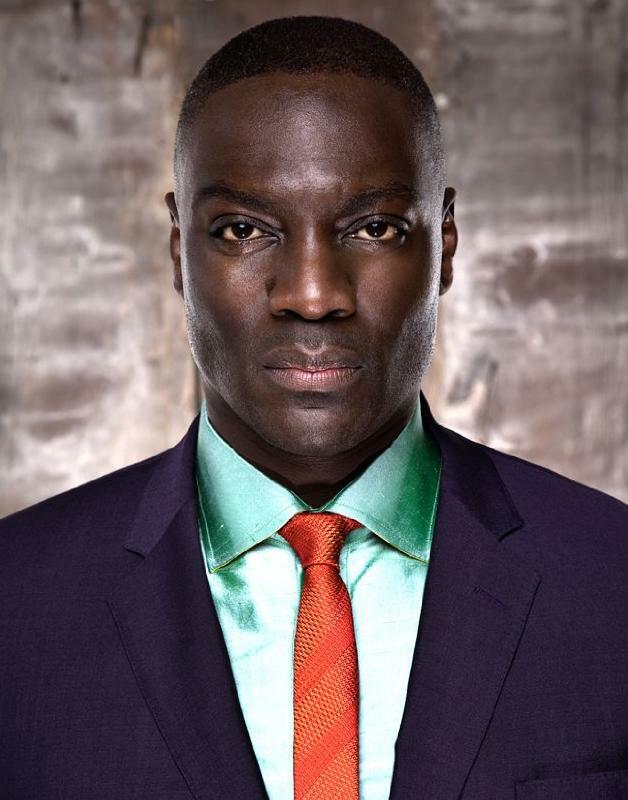 Adewale Akinnuoye-Agbaje (6’2″,b.1967) was born in London, England, to Nigerian immigrants. He has a law degree and is fluent in several languages, including Yoruba and Swahili. He is perhaps best known for his roles in Congo, The Mummy Returns, “Oz”, and “Lost”, though he also appeared in The Bourne Identity, G.I. Joe: The Rise of Cobra, “Strike Back”, “Hunted”, Thor: The Dark World, and Pompeii. Adewale is an imposing figure, he has played Africans before, and he could definitely nail this role. 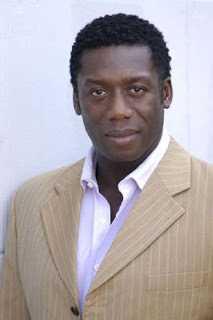 While he doesn’t have quite the height or build of the other two, Nigerian-born Hakeem Kae-Kazim (?,b.1962) has a deep, commanding voice and has played authoritative figures in the past. You might recognize him from season 7 of “24” (and the TV movie) or Hotel Rwanda or, maybe, Pirates of the Caribbean: At World’s End, X-Men Origins: Wolverine, or appearances in “Strike Back”, “Gotham”, “Covert Affairs”, “Black Sails”, etc. He has done voice work for movies and video games, including “Call of Duty: Modern Warfare 3”, “Final Fantasy XIV”, a couple editions of “Halo”, and… oh, yeah, he voiced T’Chaka in an episode of “The Avengers: Earth’s Mightiest Heroes”. Next week, I’ll post Part 2, where I try to fan-cast three of the Black Panther’s biggest, so-bad-you-love-to-hate-’em enemies…. * All ideas copyright Christopher Harris, 2013-2015.